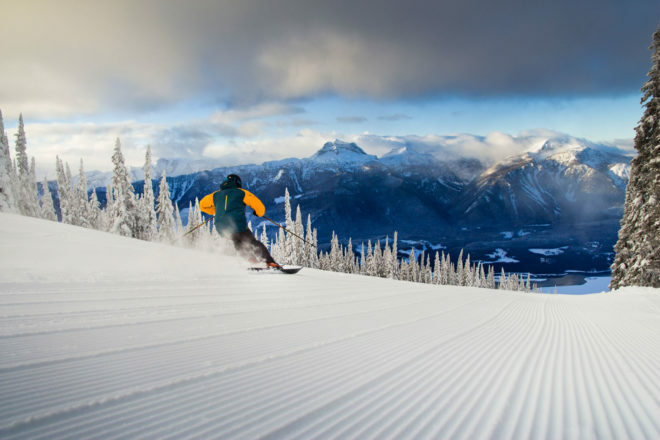 Of the thousands of ski resorts around the world, only one – Revelstoke – offers lift, snowcat, helicopter and backcountry skiing, all from its village base. 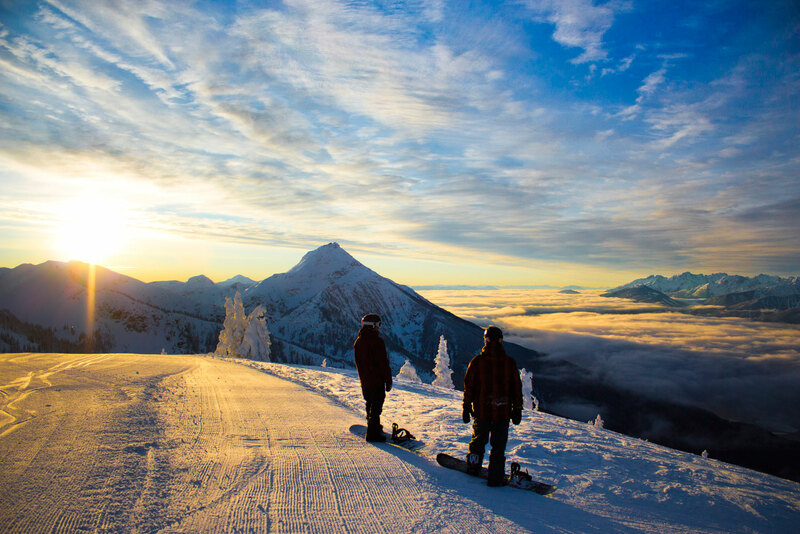 Before the ski area opened in 2007, its namesake town was already a hotbed of off-piste skiing and snowboarding, thanks to the generous 18 metres of annual snowfall that blankets the surrounding Selkirk Mountains. 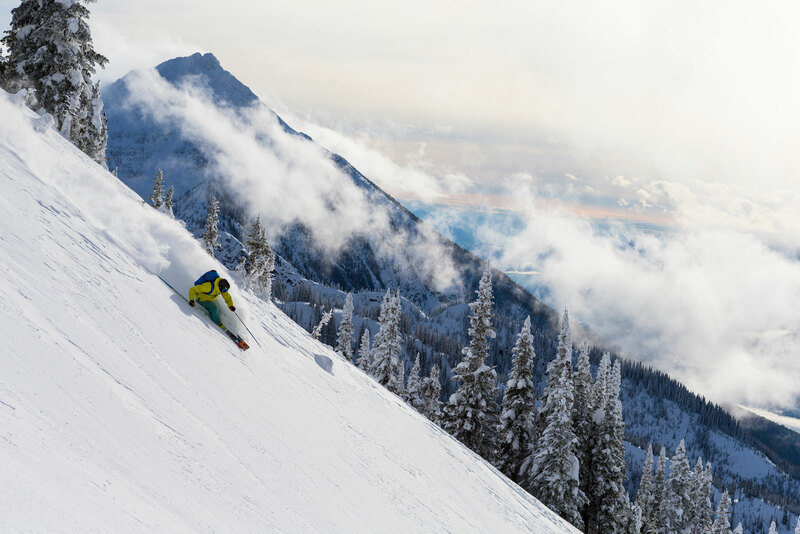 Now, the thriving resort on nearby Mount MacKenzie makes these snowy expanses accessible to all with five lifts and 1263 hectares of inbounds terrain featuring the largest vertical drop, 1713 metres, in North America. It also provides an ideal staging and training area for helicopter trips to nearby summits, as well as snowcat rides and guided backcountry excursions. 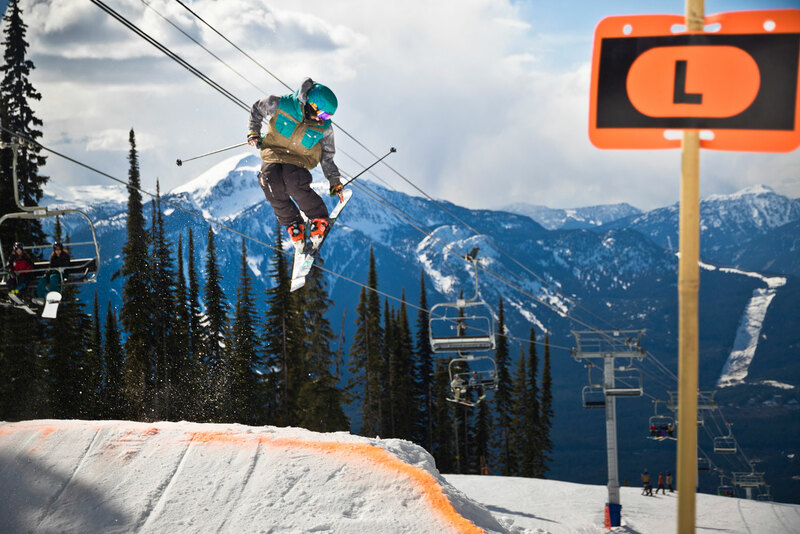 If you’ve been known to duck the rope on a ski hill (or have at least wanted to), Revelstoke feeds the out-of-bounds urge like nowhere else. A sizable portion of its marked trails, especially the double-black chutes spilling into the North Bowl from the summit ridge, feel like they belong on a heliski itinerary or in a Warren Miller film. 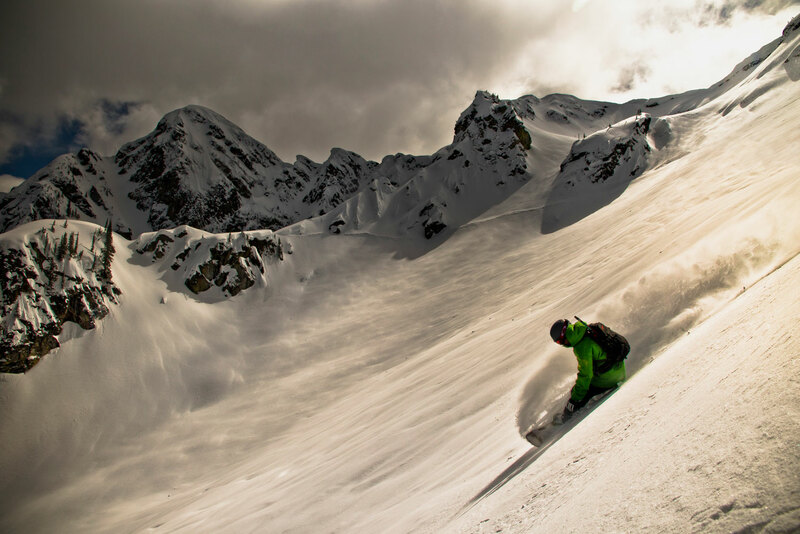 The more ‘Revie’ feeds the urge, the stronger it gets, which is where the resort’s various guided backcountry experiences come in, along with the mind-boggling 200,000 hectares of terrain they cover. 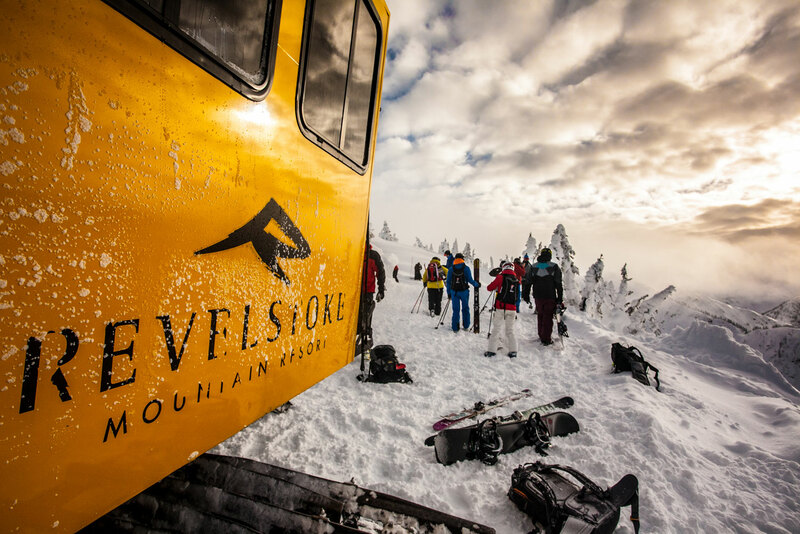 Any adventure beyond resort boundaries should begin at the Revelstoke Outdoors Centre, which books and coordinates guided cat-skiing, heliskiing and backcountry touring excursions. Another option is to learn more about the backcountry before gliding into it by taking one of the single- or multi-day awareness and rescue courses on offer. 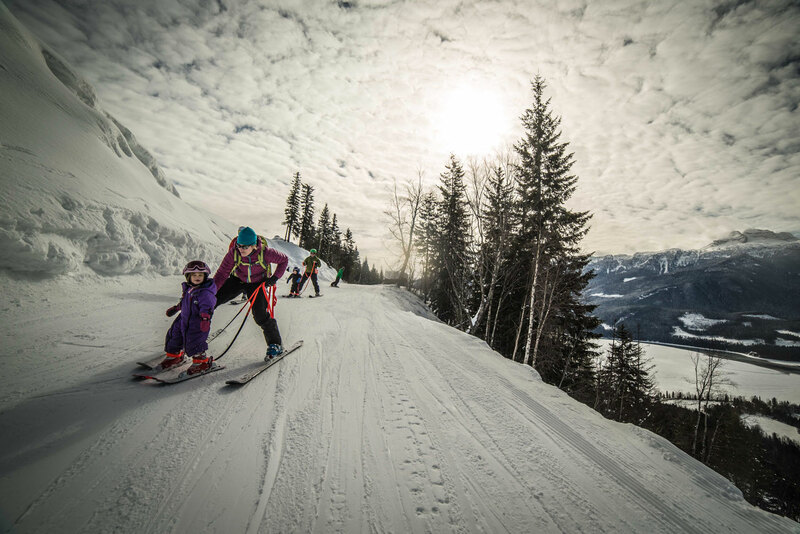 Revelstoke goes big even when it comes to beginner runs. At over 15 kilometres, The Last Spike is one of the longest ski trails in Canada. Take in the sublime scenery as it winds from top to bottom, with plenty of options for veering onto blue or black runs on the way down. 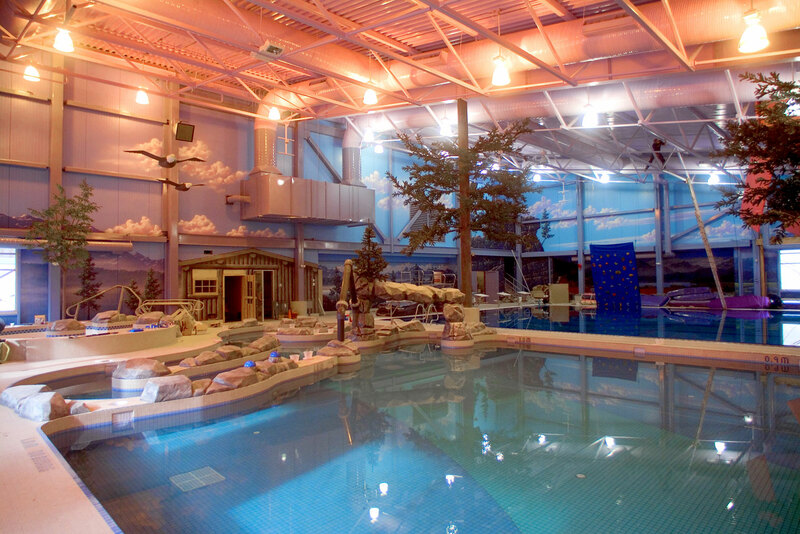 Revelstoke Aquatic Centre is a family-friendly indoor complex, a short drive from the resort, featuring a 25-metre lap pool, a leisure pool with a lazy river and waterslide, and a hot tub, sauna and steam room. Ideal for après-ski time or a break from the slopes. 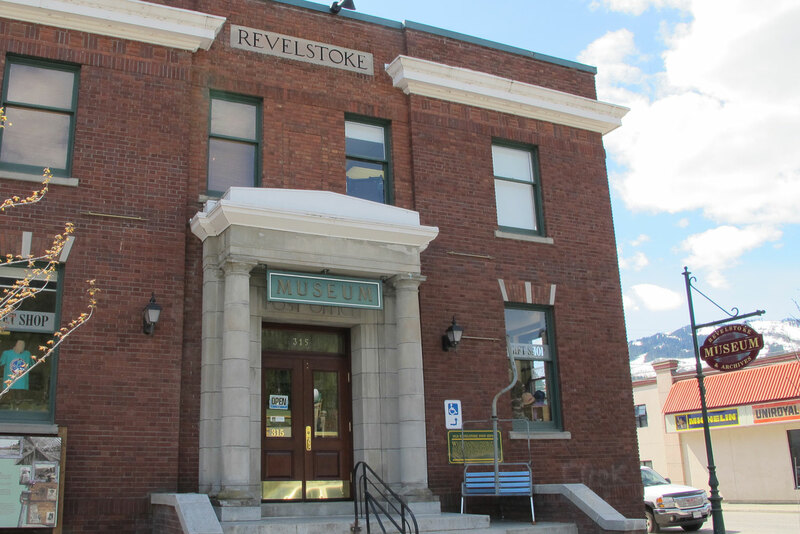 The increasingly cosmopolitan railway town of Revelstoke contributes much to backcountry ski culture, including the highly relevant ‘Land of Thundering Snow’ exhibit at the Revelstoke Museum and Archives. It explores the science behind avalanches, the technology used to prevent them, and how the cascading snow affects mountain ecology. A more hands-on safety experience can be had at the resort’s new Avalanche Ranch, which sprawls across a meadow at the top of the Revelation Gondola. Using a wireless network of buried targets, it lets visitors test their transceiver skills before any off-piste action. 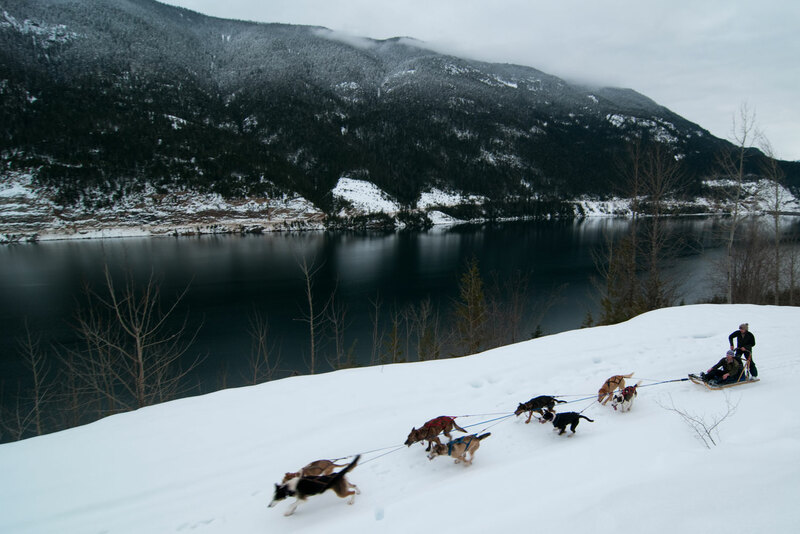 If you’re missing a furry friend back home, Revelstoke Dogsledding Adventures’ Alaskan huskies will cheer you right up, as they pull you through snow-clad forests on speedy sleds. You can even steer and yell “mush!”, if you so desire. Between skiing, swimming and mushing, your tired muscles have earned some pampering. Enter the Sutton Place Hotel’s serene Refinery Day Spa, which uses Aveda products in treatments such as Thai massage and aroma body wraps. 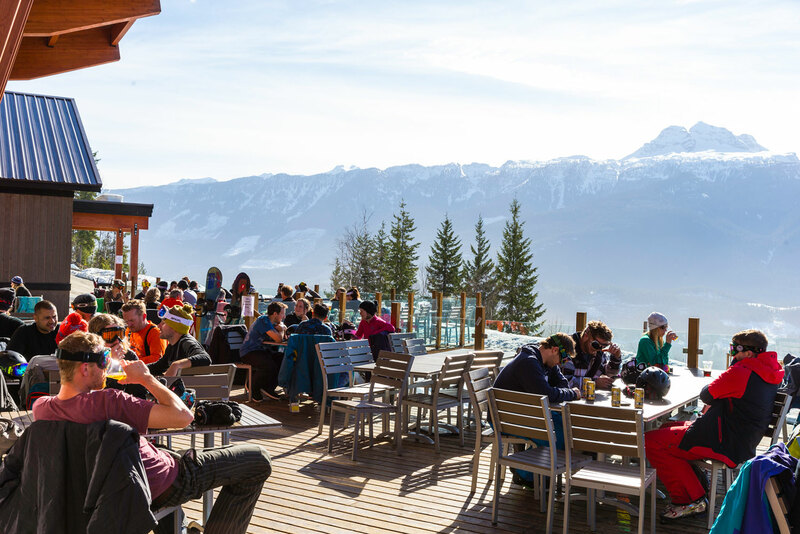 Steps from the Revelation Gondola mid-station, the lift’s namesake post-and-beam lodge is the place to be on sunny afternoons, when a 120-seat deck turns into burger-grilling and beer-sipping heaven. 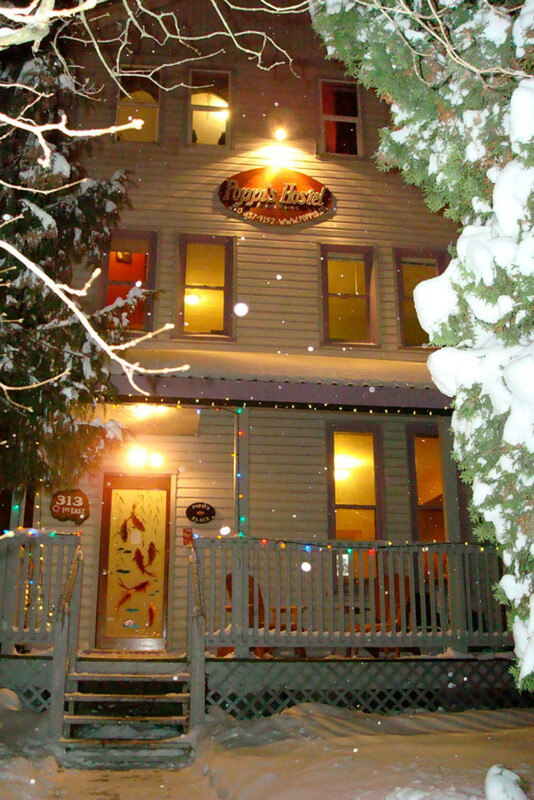 Down in the resort village, the Mackenzie Common Tavern features a superb assortment of local microbrews and signature cocktails like the Ugly Sweater. 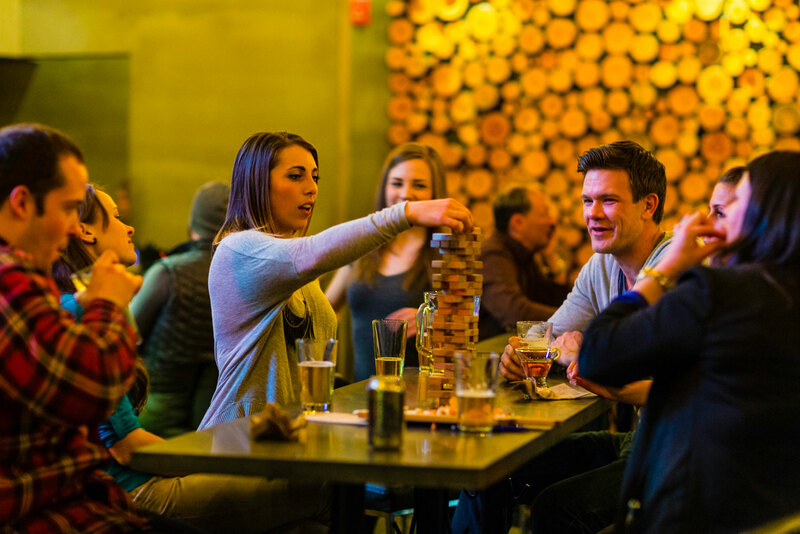 The town of Revelstoke, meanwhile, must have one of the highest pub-to-skier ratios in all of British Columbia, but there’s little doubt about which watering hole leads the pack. The Village Idiot is textbook Canuck après, with ski-backed barstools, truly mountainous nacho plates and, thankfully, a free evening shuttle to and from the resort. Traverse all the way across the precipitous North Bowl into the somewhat-less-gargantuan Greely Bowl, and you’ll reach this expert-skier playground. Snow-choked chutes lead to glades and vice versa, with the aptly named Beauty Glades next on the menu. This innovative service uses high-definition video cameras spread across the mountain to capture your sickest (read: best) moves, and relay them to your smartphone for later viewing. The five themed bedrooms in this whimsical, winsome property are decorated with murals depicting famous landmarks such as the Taj Mahal and Egypt’s pyramids. This reliable chain option is 10 minutes from the mountain, and features two outdoor hot tubs, a spa and fitness centre. Stays include free breakfast, parking and wi-fi. 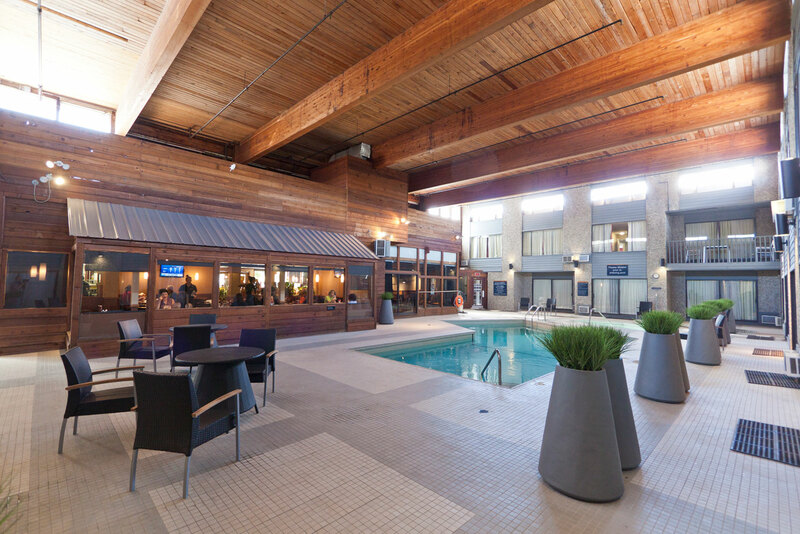 This 173-room property has a slight family edge on the Best Western next door, thanks to its two indoor swimming pools. 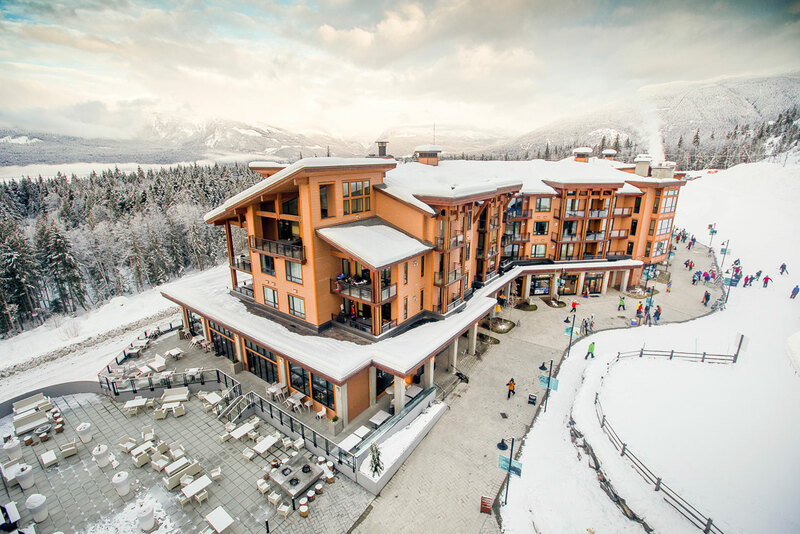 The lone hotel in the resort village does the work of several properties with 205 ski-in/ski-out condo-style rooms and suites, as well as three on-site dining options.